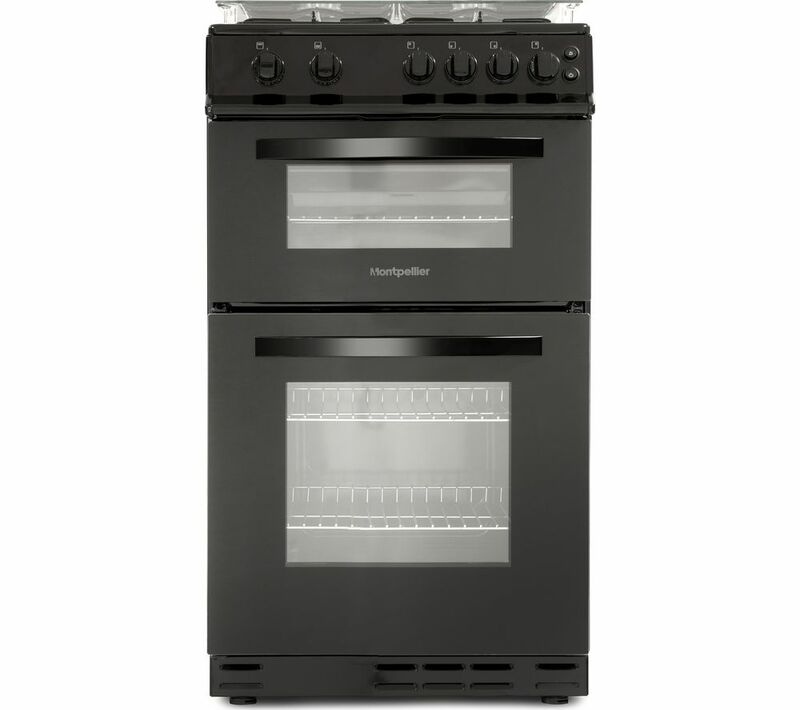 Cook two dishes at once with multiple temperature zones across two oven cavities. This flexibility is ideal when you're cooking a Sunday lunch, as you can finish roasting your vegetables at a lower temperature while your Yorkshire puddings cook at a high heat in the second cavity. 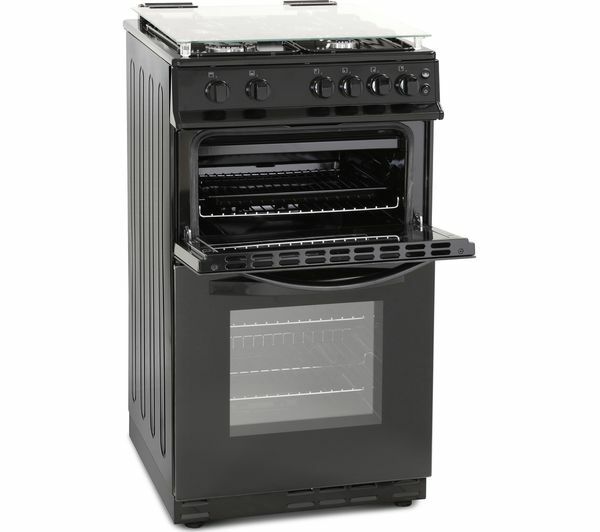 The 50 cm width means this cooker is compact enough to fit comfortably in smaller kitchen spaces. The durable enamel pan support can easily be removed from the hob, making cleaning your cooker surface easy. The glass lid helps keep the hob clean when not in use, as well as providing handy additional worktop space. And, when the lid is open it can be used as a splashback to keep cooking mess to a minimum. 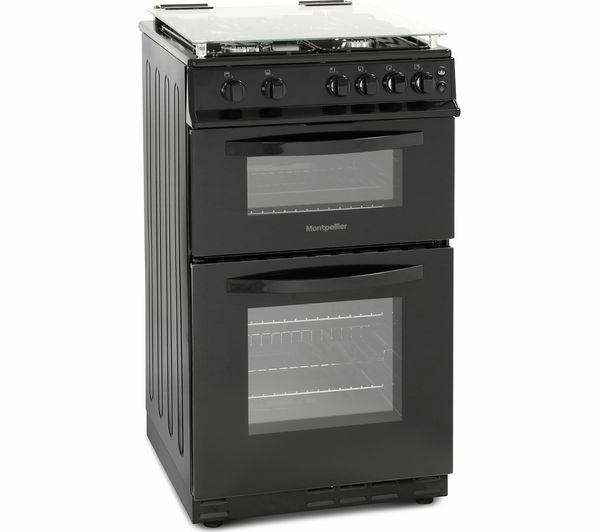 Easily control the Montpellier MDG500LK 50 cm Gas Cooker with rotary controls, which make adjusting the temperature quick and easy. Gas cooking offers excellent responsiveness for precision cooking, so you can enjoy every breakfast, lunch and dinner cooked exactly as you like.